100 meter near from mahadevsthan. Located at peaceful residential area, having with 4 meter width access road, west facing, under construction building can be built buyer choice.18 ft. garden space in back side, two side ( front and Back ) balcony in every floor, Parking space available for 4 cars and bikes. 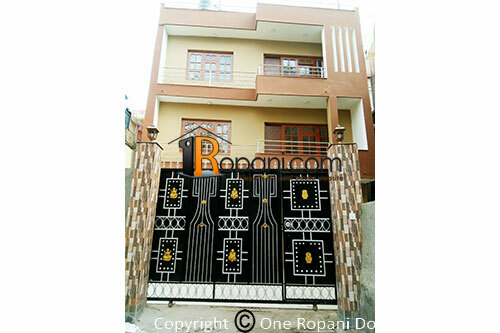 Ground floor :- Garage, Kitchen, Dining, Living, Bathroom and 2 bed room.